Klick Technology is a family business that has been established for over 35 years. 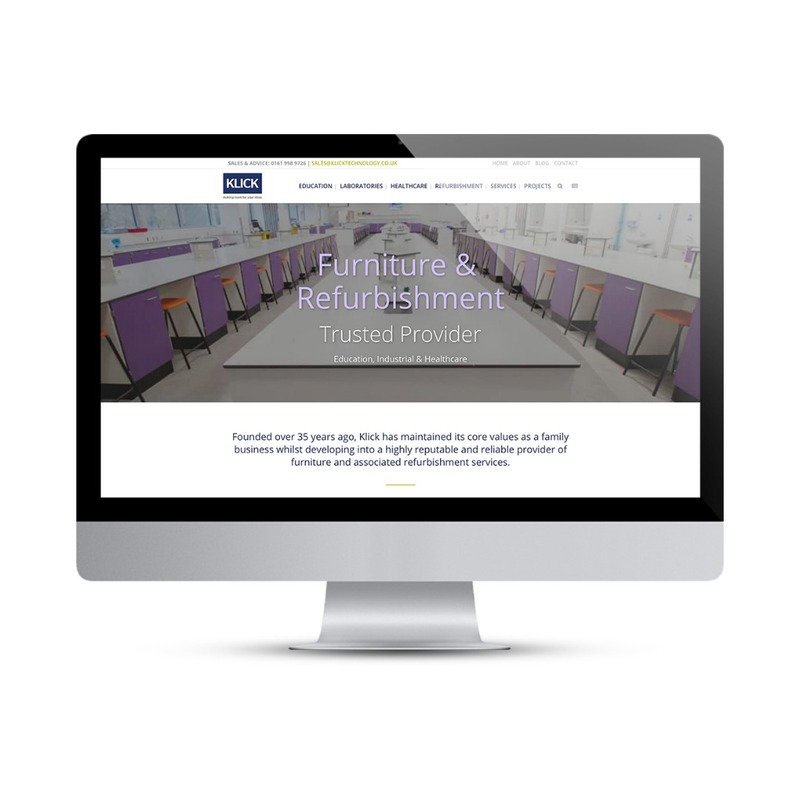 They have developed into a successful and highly reputable national provider of furniture solutions and refurbishment services to a variety of sectors, from schools and universities to hospitals and laboratories. After successfully pitching against numerous other agencies we were very pleased that Klick opted for our proposed WordPress solution and work began on the project. 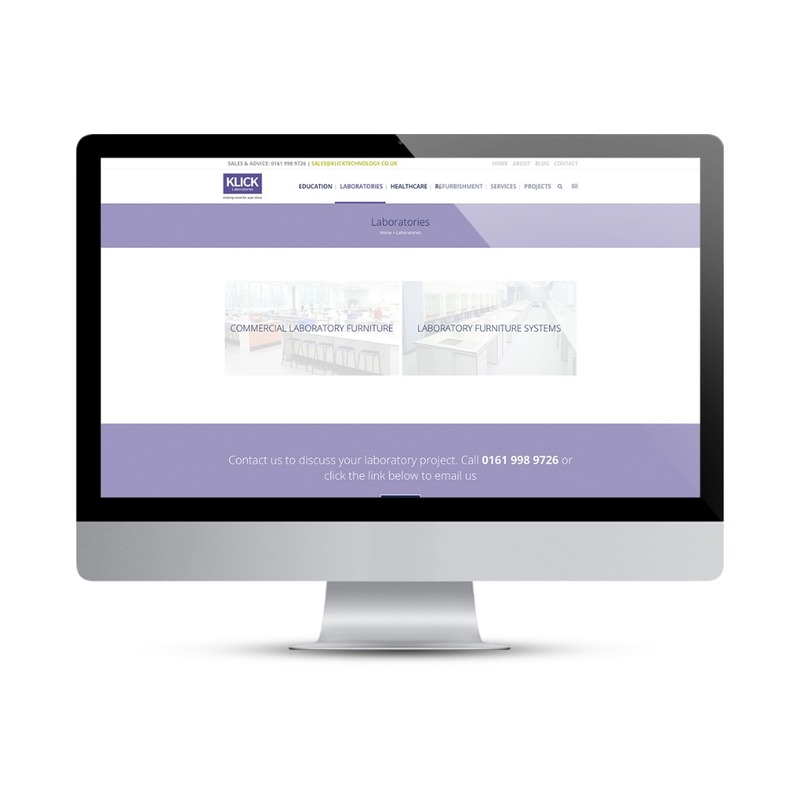 They were keen that the new site would stand out in what is a very competitive market and that it would reflect their customer focused, consultative approach. We created a fully responsive portfolio website using the WordPress platform. 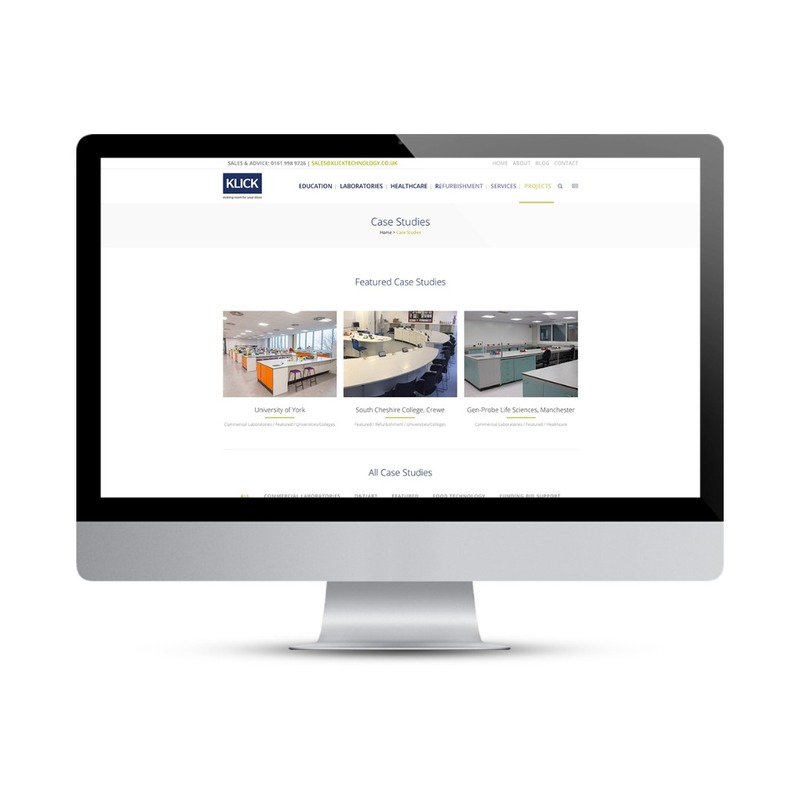 The purpose of the site at this point was to really showcase the work that Klick Technology do, which is why we opted to use a lot of imagery throughout the site. 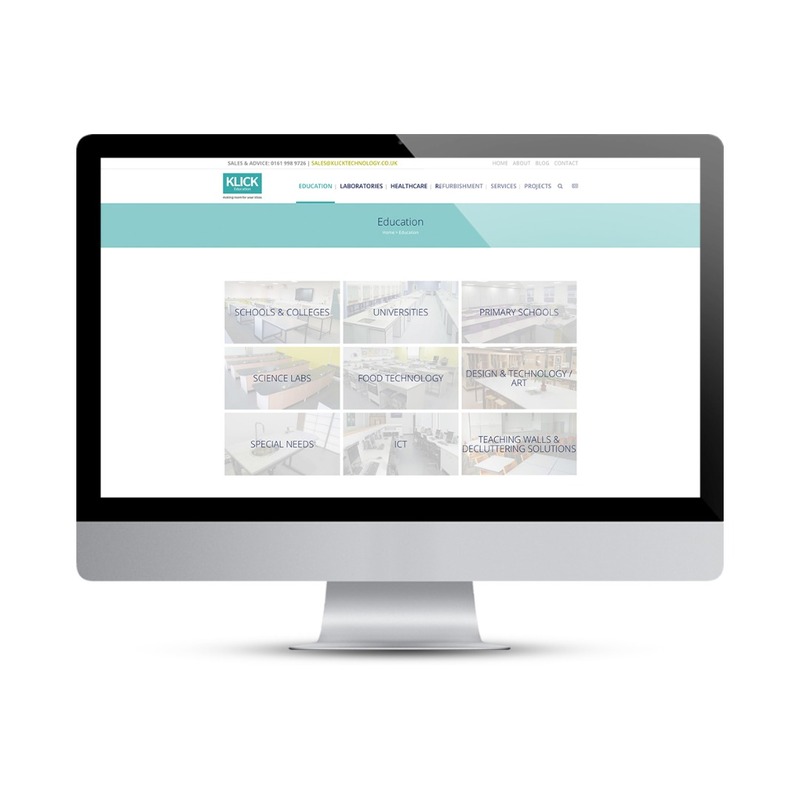 We feel that the use of high impact images and bold colours, along with the sleek design and improved usability really makes the new site stand out. This was Phase 1 of the project and is now live, while work continues behind the scenes on Phase 2 of the website; the e-commerce shop. This has been built and is in the process of being populated and the payment gateway is being implemented, we hope to be able to put this live very soon! The final phase will be the creation of a Secure Client Zone on the website. This is in order for clients to access their own personal quotes, downloads and support for all of Klick Technology’s products and services. You can view the new website here. Stay tuned for further updates as we continue to move forward with the project!